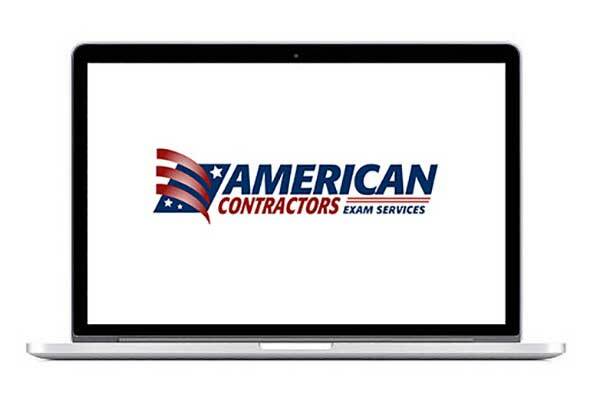 Since 1993 our company has been helping contractors get their Florida state contractors license. With a 99% success rate, our exam prep classes are the best in the industry. Virtually every aspect of Construction, Electrical, Plumbing and Mechanical Contracting in Florida is regulated at the State Level. Florida Certified Contractor Applicants are required to pass two (2) examinations: A Business and Finance exam and a trade exam. 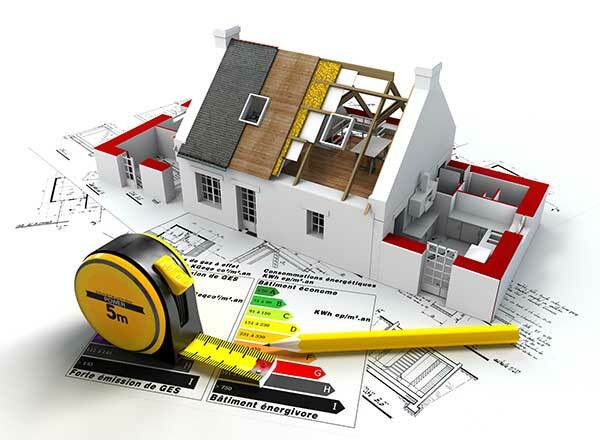 A Residential Contractor is one whose services are limited to the construction, remodeling, repair, or improvement of 1 family, 2 family, or 3 family residences, which are not more than 2 stories in height. It also covers the accessory use structures in connection with these buildings. An accessory use structure would be a garage, guesthouse, garden shed, or other outbuilding. A Residential Pool and Spa contractor can construct, repair, and service any residential swimming pool, hot tub, or spa including the repair or replacement of existing equipment or the installation of new equipment as necessary is a contractor whose work involves but is not limited to the construction, repair, and service of any swimming pool, hot tub, or spa. This includes the repair and replacement of existing equipment or the installing of new equipment as necessary. This license also covers the layout, excavation, operation of construction pumps for dewatering purposes, steelwork, installation of light niches, construction of floors, gunitying, fiber-glassing, installation of tile and coping, installation of all perimeter and filter piping, installation of all filter equipment and chemical feeders of any type, plastering of the interior, construction of decks, installation of housing for pool equipment, and installation of package pool heaters. It also covers the scope of work of a Swimming Pool and Spa Servicing contractor. A Residential Pool and Spa contractor CANNOT perform direct connections to a sanitary sewer system or to potable water lines. The installation, construction, modification, or replacement of equipment permanently attached to the pool or spa for the purpose of water treatment or cleaning of the pool or spa requires a license, however, the use of such equipment does not require licensure. Water treatment or pool or spa cleaning that does not affect the structural integrity in any way does not require a license. 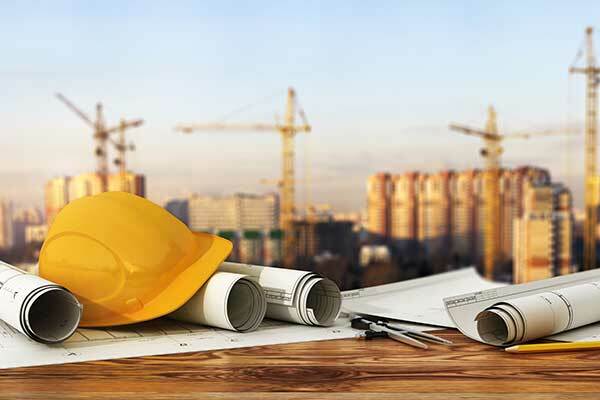 A Building Contractor is one whose services are limited to the construction of commercial buildings and single dwelling or multiple dwelling residential buildings. These buildings cannot exceed 3 stories in height. A building contractor may also construct the accessory use structures in connection with these buildings. An accessory use structure would be a garage, guesthouse, garden shed, or other outbuilding. This license also allows remodeling, repair, or improvements of any building if the services do not affect the structural elements of the building. A Commercial Pool/Spa contractor is a contractor whose work involves but is not limited to the construction, repair, and service of any swimming pool, hot tub, or spa. This includes the repair and replacement of existing equipment or the installing of new equipment as necessary. Under this license the contractor is licensed to do the layout work, the excavation, the operation of construction pumps for dewatering purposes, the steelwork, the installation of light niches, the construction of floors, guniting, fiberglassing, the installation of tile and coping, the installation of all perimeter and filter piping, the installation of all filter equipment and chemical feeders of any type, the plastering of the interior, the construction of decks, the construction of equipment rooms or housing for pool equipment, and the installation of packaged pool heaters. Plus a Commercial Pool/Spa contractor includes the scope of work for a Swimming Pool/Spa Service contractor. A Commercial Pool/Spa contractor cannot perform direct connections to a sanitary sewer system or to potable water lines. The installation, construction, modification, or replacement of equipment permanently attached to or associated with the pool or spa for water treatment or cleaning of the pool or spa requires a license but the use of such equipment for the purposes of water treatment or cleaning does not require licensure unless the usage involves the construction, modification, or replacement of such equipment. Water treatment not requiring such equipment will not require a license. 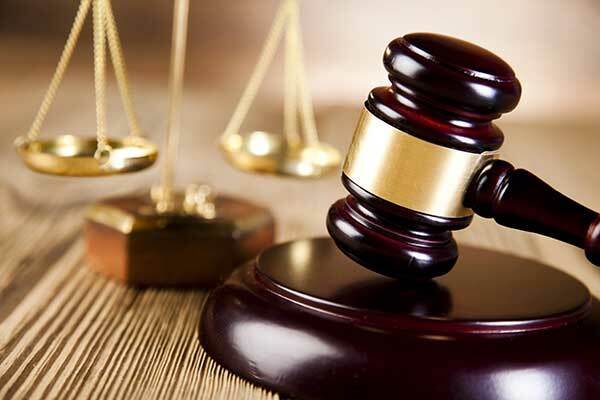 Also, a license will not be required for the cleaning of the pool or spa in any way that does not affect the structural integrity of the pool or spa or its associated equipment. A General Contractor license allows building construction that is unlimited as to the type and size of the construction project. The Business and Finance exam is a requirement for all types of contractors to become licensed in the State of Florida. This exam must be taken in addition to the contractor or trade exam for which you are trying to become licensed. The Unlimited Electrical contractor can install, repair, alter, add to, or design, in compliance with law, electrical wiring, fixtures, appliances, apparatus, raceways, conduit or any part thereof, which generates, transmits, transforms, or utilizes electrical energy in some form, including electrical installations and systems within plants and substations, all in compliance with applicable plans, specifications, codes, laws, and regulations. The Lighting Maintenance Specialty Electrical Contractor is limited to the installation, repair, alteration, or replacement of lighting fixtures in or on buildings, signs, billboards, roadways, streets, parking lots, and other similar structures. The scope of the certification does not include the provision of, or work beyond, the last electrical supplying source, outlet, or disconnecting means. 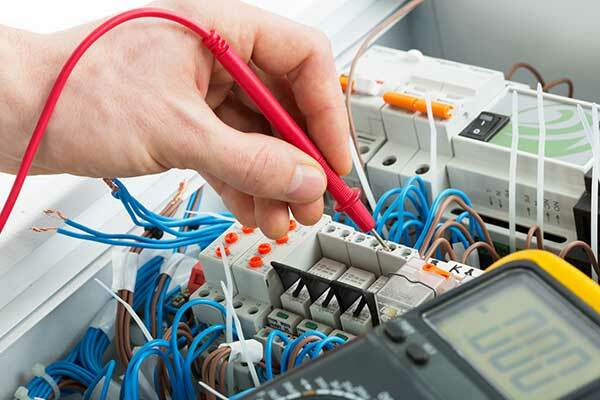 The Residential Electrical contractor can install, repair, alter, add to, replace, or design, in compliance with law, electrical wiring, fixtures, appliances, apparatus, raceways, conduit or any part thereof, in a 1, 2, 3, or 4 family residence not exceeding 2 stories in height, and accessory use structures in connection with the residence. The electrical service installed or worked on is limited to single phase, 400 ampere single service. A Gas Line contractor is a specialty contractor whose scope of work is limited to installation, modification, alteration, testing, repair and maintenance of natural gas transmission systems and natural gas distribution systems with all appurtenances within rights-of-way, easements, or terminating at meter. 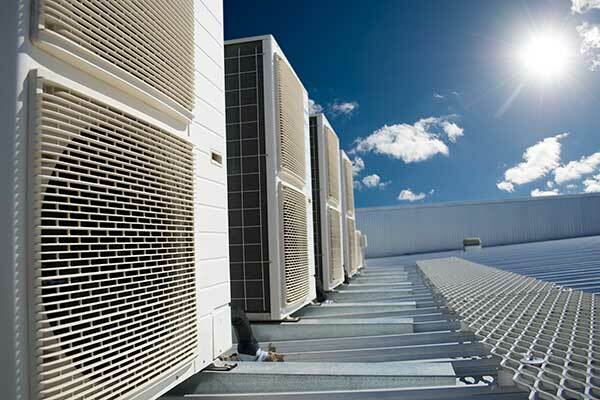 The Class A air conditioning contractor is one whose services are unlimited in the installation, maintenance, repair, fabrication, alteration, extension, or design of central air conditioning, refrigeration, heating, and ventilating systems. Class A contractors may also execute contracts requiring experience in the installation, maintenance, repair, fabrication, alteration, extension, or design of duct work in connection with a complete system but only to the extent that such duct work is performed by the contractor as is necessary to complete an air distribution system, boiler and unfired pressure vessel system, and all appurtenances, apparatus, or equipment used in connection with them. This license does not allow any work such as liquefied petroleum or natural gas fuel lines within buildings, potable water lines or connections, sanitary sewer lines, swimming pool piping and filters, or electrical power wiring. The Class B contractor is one whose services are limited to 25 tons of cooling and 500,000 BTU of heating in any 1 system in the execution of contracts requiring the experience, knowledge, and skill to install, maintain, repair, fabricate, alter, extend, or design central air conditioning, refrigeration, heating and ventilation systems, including ductwork in connection with a complete system. Mechanical Contractor means a contractor whose services are unlimited in the execution of contracts requiring the experience, knowledge, and skill to install, maintain, repair, fabricate, alter, extend, or design, when not prohibited by law, central air-conditioning, refrigeration, heating, and ventilating systems. This includes duct work in connection with a complete system only to the extent such duct work is performed by the contractor as is necessary to make complete an air-distribution system, boiler and unfired pressure vessel systems, lift station equipment and piping, and all appurtenances, apparatus, or equipment used in connection therewith, and any duct cleaning and equipment sanitizing which requires at least a partial disassembling of the system; to install, maintain, repair, fabricate, alter, extend, or design, when not prohibited by law, piping, insulation of pipes, vessels and ducts, pressure and process piping, pneumatic control piping, gasoline tanks and pump installations and piping for same, standpipes, air piping, vacuum line piping, oxygen lines, nitrous oxide piping, ink and chemical lines, fuel transmission lines, liquefied petroleum gas lines within buildings, and natural gas fuel lines within buildings; to replace, disconnect, or reconnect power wiring on the load side of the dedicated existing electrical disconnect switch; to install, disconnect, and reconnect low voltage heating, ventilating, and air-conditioning control wiring; and to install a condensate drain from an air-conditioning unit to an existing safe waste or other approved disposal other than a direct connection to a sanitary system. The scope of work for such contractor shall also include any excavation work incidental thereto, but shall not include any work such as potable water lines or connections thereto, sanitary sewer lines, swimming pool piping and filters, or electrical power wiring. A Plumbing contractor may install, maintain, repair, alter, extend, or when not prohibited by law, design the following without obtaining any additional local regulatory license, certificate, or registration: sanitary drainage or storm drainage facilities, venting systems, public or private water supply systems, septic tanks, drainage and supply wells, swimming pool piping, irrigation systems, or solar heating water systems and all appurtenances, apparatus, or equipment used in connection to these systems, including boilers and pressure process piping and including the installation of water, natural gas, liquefied petroleum gas and related venting, storm and sanitary sewer lines, and water and sewer plants and substations. It also includes the design, when not prohibited by law, and installation, maintenance, repair, alteration, or extension of air piping, vacuum line piping, oxygen line piping, nitrous oxide piping, and all related medical gas systems, fire line standpipes, fire sprinklers to the extent authorized by law, ink and chemical lines, fuel oil and gasoline piping, tank and pump installation except bulk storage plants, and pneumatic control piping systems. 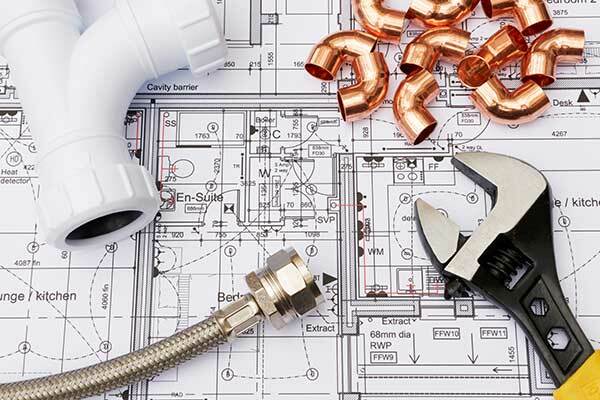 The scope of a plumbing contractor shall apply to private and public property, including any excavation work incidental thereto, and include the scope of work of a specialty plumbing contractor. The Alarm System Contractor I means an alarm system contractor whose business includes all types of alarms systems for all purposes. The Alarm System Contractor II means an alarm system contractor whose business includes all types of alarms systems other than fire, for all purposes. A Glass and Glazing contractor falls under the category of a Specialty Contractor. The scope of work for this contractor is limited to the installation and attachment of all types of windows and glass (fixed or movable), the installation of swinging or sliding glass doors to the existing walls, floors, columns, or other structural members of the building, the installation of glass holding or supporting mullions or horizontal bars which are attached to existing building walls, floors, columns, or other structural members of the building, and the cutting and installation of glass and mirrors. A Gypsum Drywall contractor falls under the category of a specialty contractor. The scope of work and responsibility for this contractor is limited to a particular phase of construction and subset of activities. This license allows the installation, taping, texturing, and finishing of gypsum drywall (including special finishes). Also included is the installation to both wood and metal stud walls, ceilings, and other special applications where gypsum drywall is used. A Pollutant Storage contractor is one whose services are limited to, and who has the experience, knowledge, and skill to install, maintain, alter, extend, design, when not prohibited by law, and use materials and items in the installation, maintenance, extension, and alteration of pollutant storage tanks. A Pool Service contractor is a contractor whose work involves but is not limited to the repair, and service of any swimming pool, hot tub, or spa, public or private. This includes the repair and replacement of existing equipment, any cleaning or equipment sanitizing which requires at least partial disassembling, excluding filter changes. This also includes the installation of new pool/spa equipment, interior refinishing, the reinstallation or addition of pool heaters, the repair or replacement of all perimeter piping and filter piping, the repair of equipment rooms or housing for pool/spa equipment, and the substantial or complete draining of a swimming pool, hot tub, or spa for the purpose of any repair or renovation. A Pool Service contractor cannot perform direct connections to a sanitary sewer system or to potable water lines. The installation, construction, modification, substantial or complete disassembly, or replacement of equipment permanently attached to or associated with the pool or spa for water treatment or cleaning of the pool or spa requires a license but the use of such equipment for the purposes of water treatment or cleaning does not require licensure unless the usage involves the construction, modification, substantial or complete disassembly, or replacement of such equipment. Water treatment not requiring such equipment will not require a license. Also, a license will not be required for the cleaning of the pool or spa in any way that does not affect the structural integrity of the pool or spa or its associated equipment. This license allows unlimited work in the sheet metal trade to manufacture, fabricate, assemble, handle, erect, install, dismantle, condition, adjust, insulate, alter, repair, service, or design ferrous or nonferrous metal work of US No. 10 gauge or its equivalent or light gauge. A sheet metal contractor may also work with other materials including, but no limited to, fiberglass. A Solar contractor can install, alter, repair, maintain, relocate, or replace solar panels for potable solar water heating systems, swimming pool solar heating systems, and photovoltaic systems and any appurtenances, apparatus, or equipment used in connection therewith, whether public, private, or otherwise, regardless of use. 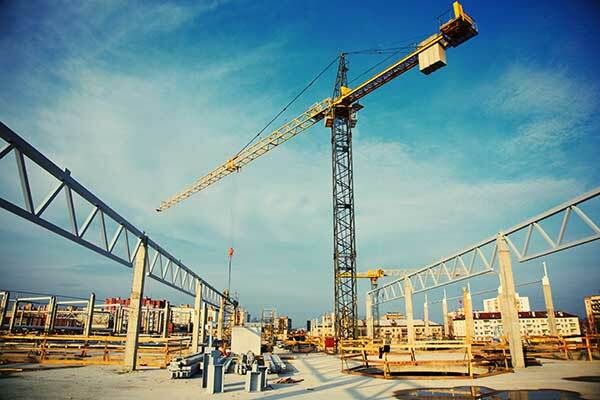 The Specialty Structures contractor scope of work and responsibility is limited to a particular phase of construction and subset of activities according to the amended Rule 61G4-15.015FAC. The rule broadens the scope of specialty structure certification to include manufactured housing roof-covers, acrylic panel window enclosures, guardrails, handrails, aluminum and vinyl fences, the installation or replacement of windstorm protection devices (hurricane), residential glass window and door enclosures, and the installation or replacement of sunrooms. The size limit of aluminum utility storage structures has been increased from 500-720 square feet. Sunrooms do not include wood framed structures. An underground utility and excavation contractor is one whose services are limited to the construction, installation, and repair, on public or private property, whether accomplished through open excavations or through other means. This includes, but is not limited to, directional drilling, auger boring, jacking and boring, trenchless technologies, wet and dry taps, grouting, and slip lining, of main sanitary sewer collection systems, main water distribution systems, storm sewer collection systems, and the continuation of utility lines from the main systems to a point of termination up to and including the meter location for the individual occupancy, sewer collection systems at property line on residential or single occupancy commercial properties, or on multi occupancy properties at manhole or wye lateral extended to an invert elevation as engineered to accommodate future building sewers, water distribution systems, or storm sewer collection systems at storm sewer structures. However, an underground utility and excavation contractor may install empty underground conduits in rights-of-way, easements, platted rights-of-way in new site development, and sleeves for parking lot crossings no smaller than 2 inches in diameter, provided that each conduit system installed is designed by a licensed professional engineer or an authorized employee of a municipality, county, or public utility and that the installation of any such conduit does not include installation of any conductor wiring or connection to an energized electrical system. An underground utility and excavation contractor shall not install any piping that is an integral part of a fire protection system beginning at the point where the piping is used exclusively for such system. The Utility Line Electrical Contractor is a utility contractor whose business includes all types of transmission electrical circuits, distribution electrical circuits, and substation construction done for investor owned electrical utilities, city municipal electrical utilities, and cooperatives under the rural electric authority between point of origin and point of delivery.